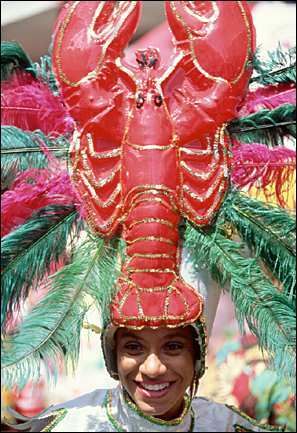 Curaçao's homey pre-Lenten Carnival features weeks of buildup, such as a Children's Carnival Parade. The big events occur on the days preceding Ash Wednesday, and include big parades with flamboyant island groups competing for best costumes and floats. Saint Thomas took the best carnival activities and gave them a secular spin, eliminating the pre-Lenten overtones of Trinidad's Carnival. 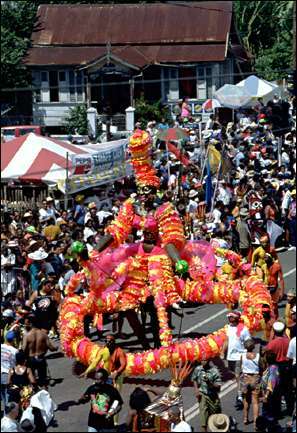 Events include African customs such as frenetic baboula dancing, and parades with stilt-walking mocko jumbies. Calypso contests, jazz groups, traditional quelbe music, and steel bands round out the festivities. Get ready for boisterous music making and an unbridled bacchanalia when you attend the biggest of Caribbean carnivals. Carnival showcases original Trinidadian culture in calypso, soca, and steel band competitions, "jump-up" parades, fantastic costumes, and big parties throughout the capital Port of Spain. Not for the weak of heart. 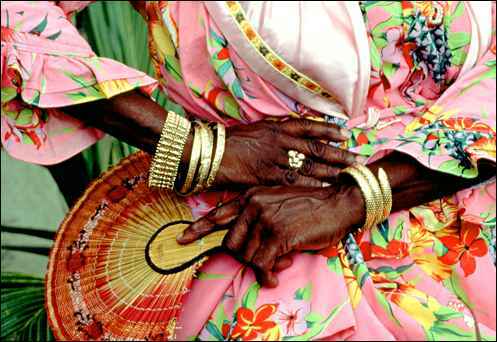 Dominicans honor their heritage on Creole Day, when women wear traditional madras dress and restaurants make a point of serving crapaud (frogs' legs, that is, or "mountain chicken") and other traditional dishes. Activities include street dancing and singing, accompanied by jing ping bands, storytelling, and folk dancing. When: Usually celebrated the Friday before the 3 November Independence Day celebration. This festival dates from the 1780s, when Barbados was the world's largest sugar producer, and harvest time meant a huge celebration. Crop Over week features the crowning of the Calypso Monarch, a large Market Day, and the climactic Kadooment Day, when masqueraders pour into the streets of Bridgetown for parades, dancing, and fireworks. "The Festival of Women Cooks" honors Saint-Laurent, patron saint of cooks. The festival, held in Pointe-à-Pitre since 1916, features costumes, parades, and a 5-hour banquet—the best of French and Creole cuisine. Sample crabes farcis (stuffed crabs) and wash it down with ti punch, a traditional drink of rum, cane syrup, and lime. Spanish-born cellist, conductor, and humanitarian Pablo Casals moved to Puerto Rico in 1956, where he directed the Festival Casals de Puerto Rico, a series of spring classical concerts. The tradition continues today, and some of the world's finest musicians converge on San Juan and join the Puerto Rico Symphony Orchestra in performing classical standards.